Nollywood Actress, Uchenna Nnanna, is one of the few public figures who have been able to combine their successful careers with being good wives. 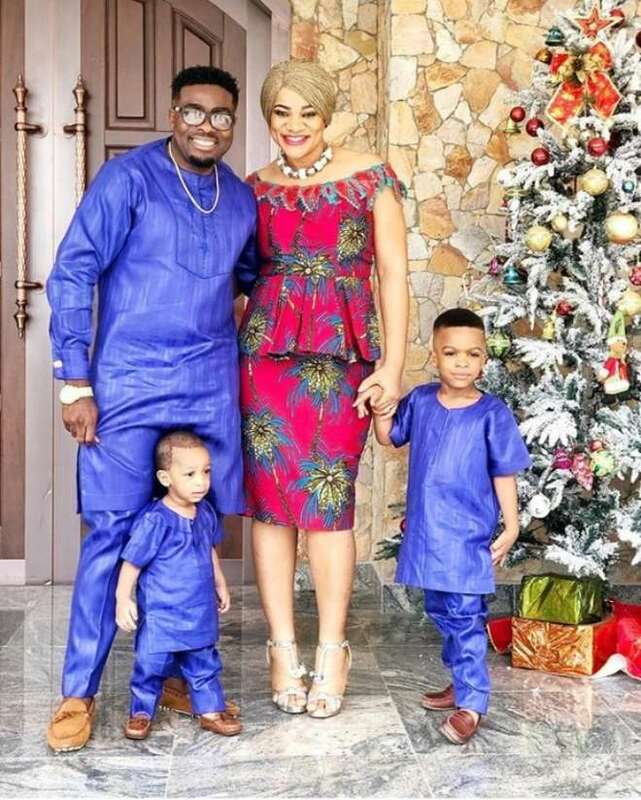 The actress, her husband, Maduka and their two kids are pictured all smiles and they look so adorable together. It has not been an easy journey or the actress but she has been able to learn from other marriages and has guided hers as she ensured that she keeps a whole lot of things from public view. Even those she calls her friends, there are a whole lot she does not share with them so as so safe guard her home front.